Gregory John Norman AO (born 10 February 1955) is an Australian professional golfer and entrepreneur who spent 331 weeks as the world's Number 1 Official World Golf Rankings ranked golfer in the 1980s and 1990s. During and after his playing career, Norman engaged in numerous entrepreneurial and philanthropic endeavors. 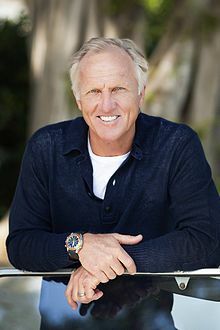 He currently serves as the chairman and CEO of the Greg Norman Company, a global corporation with a portfolio of companies in fields like apparel, interior design, real estate, private equity, golf course design, and more. In 2009 as part of the Q150 celebrations, Greg Norman was announced as one of the Q150 Icons of Queensland for his role as a "sports legend".